Today we began with a discussion about the symbolic rules that describe the tortoise and hare problem. Fran emphasized that writing symbolic rules can be supported by working through the reasoning in other representations. 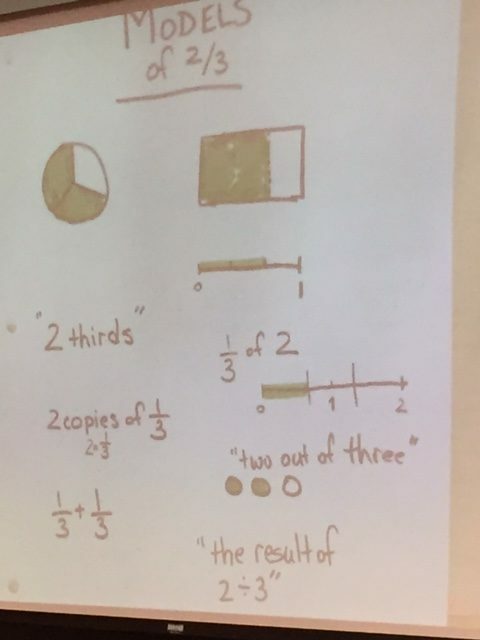 Andrea shared some data about young children’s misunderstandings of the meaning of the equal sign and practices to avoid. 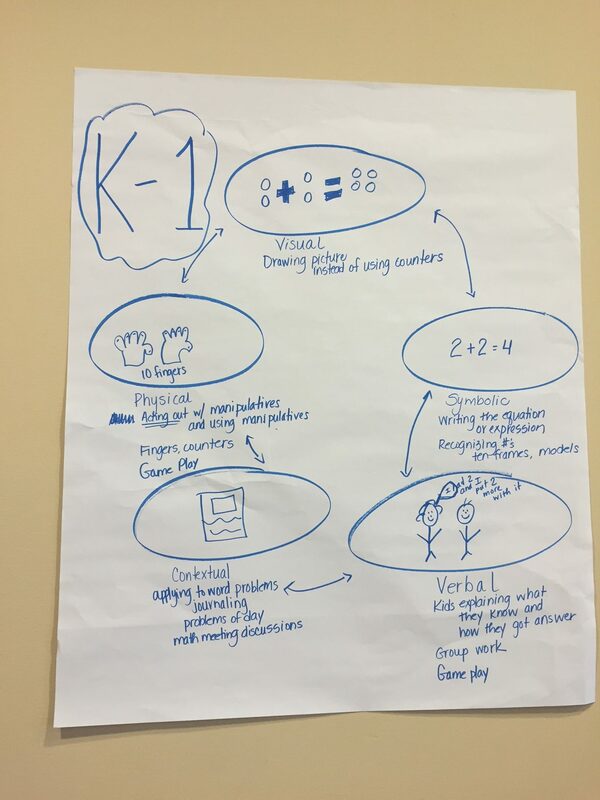 We also watched a video of a young child using relational thinking to solve an open number problem. We worked on the candle burning problem, which illustrates how a negative rate of change effects a linear relationship. After debriefing, Andrew talked through consequences of linearity. We ended the morning with analyzing 12 situations to determine whether they could be solved via a linear relationship, a proportion, or neither. After lunch we wrapped up some of our big pedagogy ideas by reflecting on last night’s messages, generating a list of things that need to happen in order to implement the strategies. 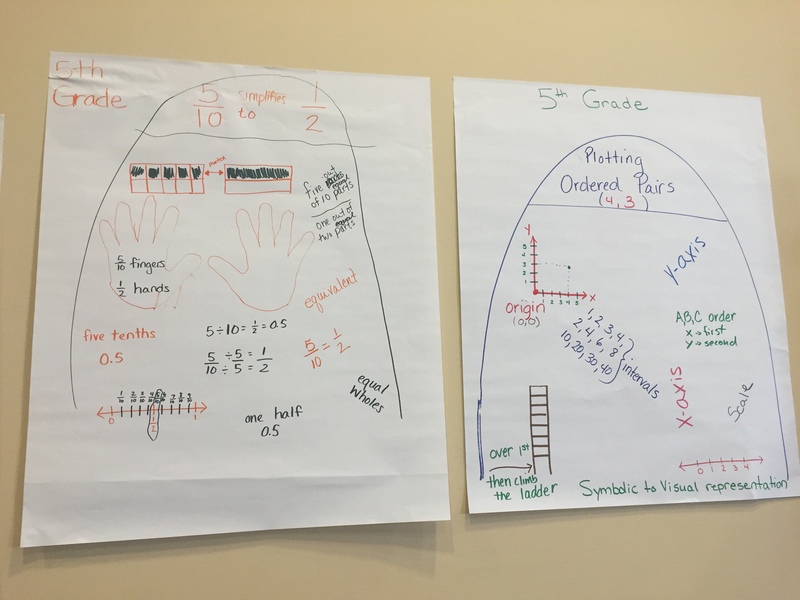 We discussed more about the Standards for Mathematical Practice , focusing especially on supporting students to persevere. 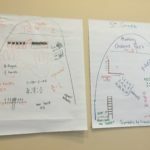 We constructed a big iceberg wall together, representing ideas at each grade level that contribute floating capacity to the concept of linear relationships. We closed with a debriefing of the 12 situations on “What isn’t a linear relationship?” and highlighted the important features that distinguish them from each other. See you tomorrow for our last day together! Pedagogy: Read the section on Professionalism in Principles to Actions (pp. 99- 108). 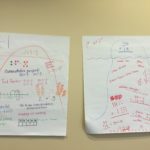 This entry was posted in Daily Blog Recaps, Functions and Algebra on July 28, 2016 by Andrea McCloskey. We are hip-deep in linear relationships (and a few things that aren’t). We started the morning with posting some of the extension problems that participants wrote last night and then did a gallery walk. 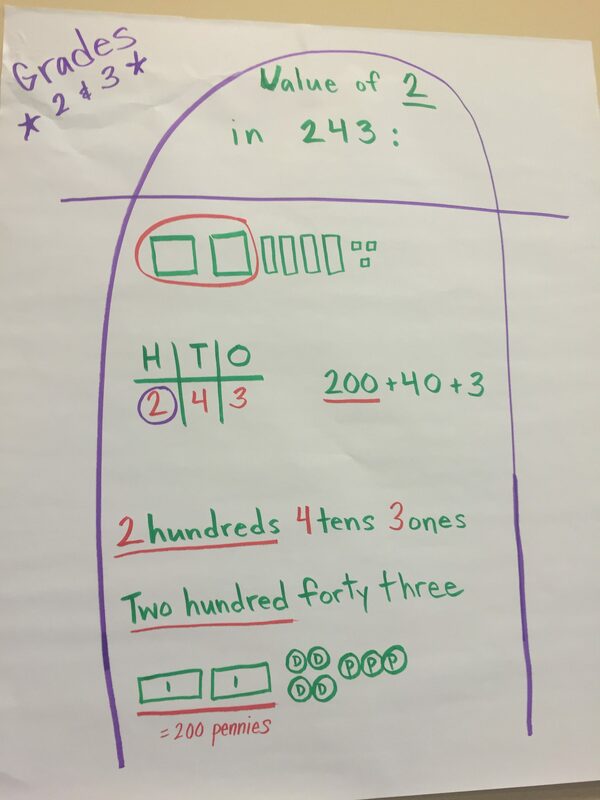 Andrew highlighted two strategies for getting students to move to systematic or efficient strategies: using uglier numbers that are less prone to “I just knew it,” and multi-step problems where the task requiring the strategy is repeated multiple times and is part of a larger whole. 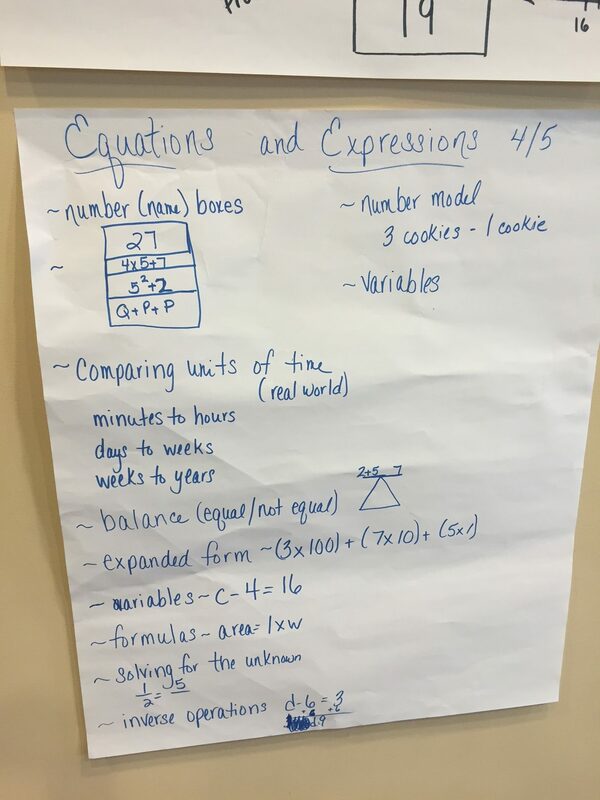 We then moved into a pedagogy session, where we began with a discussion of the rich problems teachers developed during HW. Then each table generated a list for tomorrow’s iceberg activity (also from HW prompt). We also had a discussion of upside down teaching (from last night’s reading). Finally, we watched Dan Meyer’s TED talk. 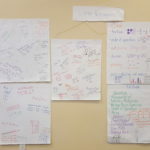 Andrew shared the site mathpickle.com which has mathematically rich games and puzzles that students will happily engage in. Matt led a discussion putting names (slope, y-intercept, x-intercept) to concepts identified in the Currency Exchange with Fee problem. 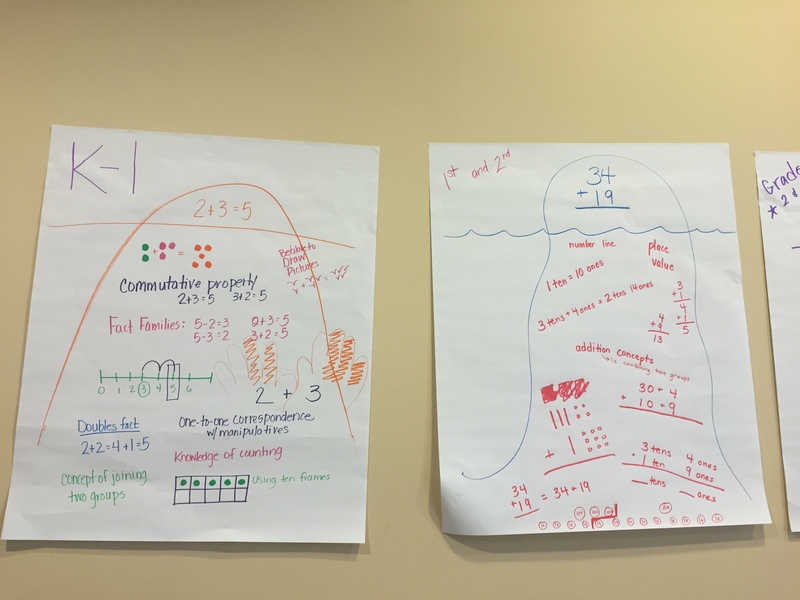 We looked at the Tortoise and the Hare problem, wherein a scenario is presented and participants had to ask for certain information (e.g., the speeds) and not just handed it from the start. Table-groups were then given different follow-up questions and asked to present their answers to the rest of the group. 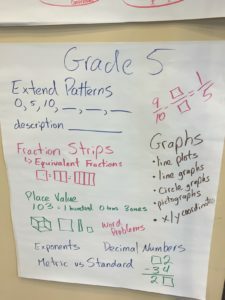 Along the way we saw how many natural questions can be answered via a graph. We finished the day be repeating the teaching episodes from Monday, but now practicing purposeful questioning and eliciting student thinking. In the first minute of running the hare ran 3000 feet. The tortoise and hare maintain a constant speed. The hare starts with a 10 minute nap, then runs. The tortoise starts right away. (Follow-up #7): A chipmunk starts from 12,000 feet behind the tortoise and runs at 2000 feet/minute. Listen to the audio-recording of your “revised” teaching episode. In your notebook, write down the questions that you asked. 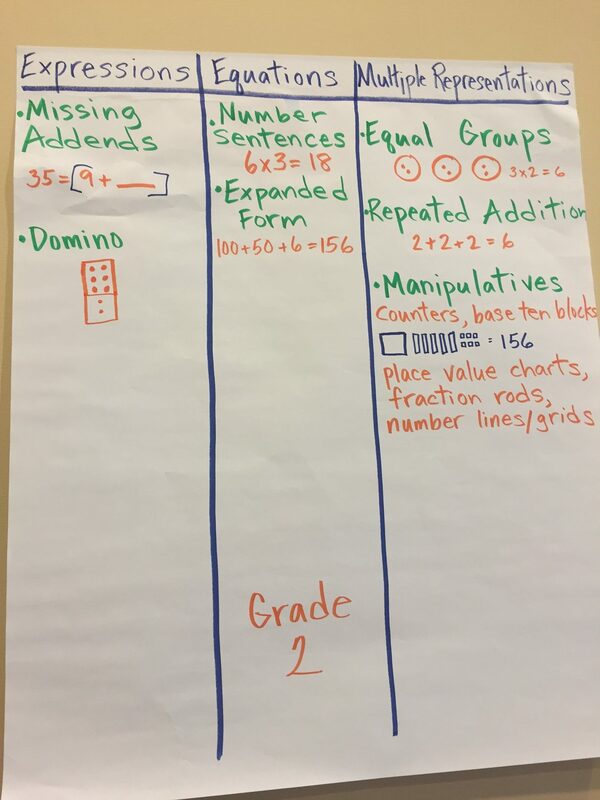 Examine the questions you used while playing the role of teacher and write about what you learned about trying to use purposeful questions and eliciting student thinking. Read one of the messages from Smarter Than We Think. If your last name begins with A-M, read Message #14. If your last name begins with N-Z, read Message #16. Reflect back over all of the pedagogy discussions we have had in PMI and start a list in your notebook titled “Things I can do to help my students persevere when solving rich math problems.” Add at least three things to your list. 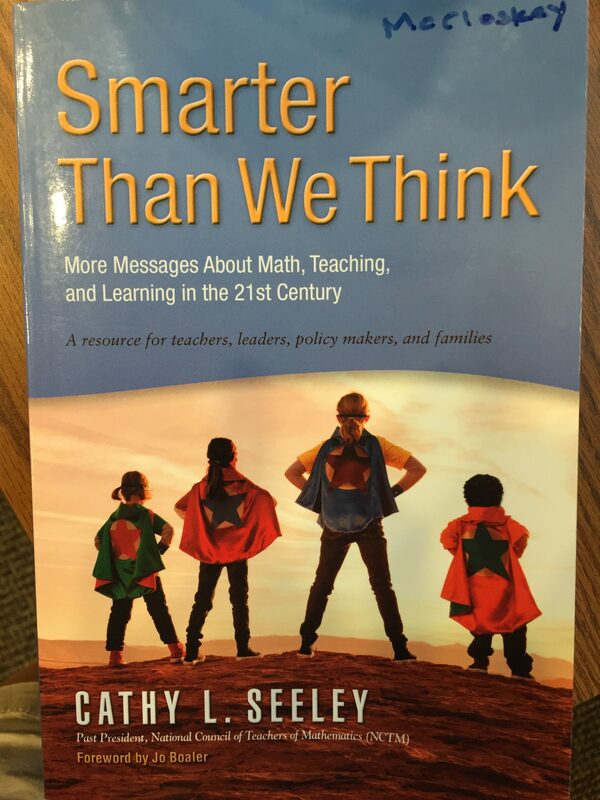 BTW: The “Messages” we’ve been reading come from the excellent book pictured below. 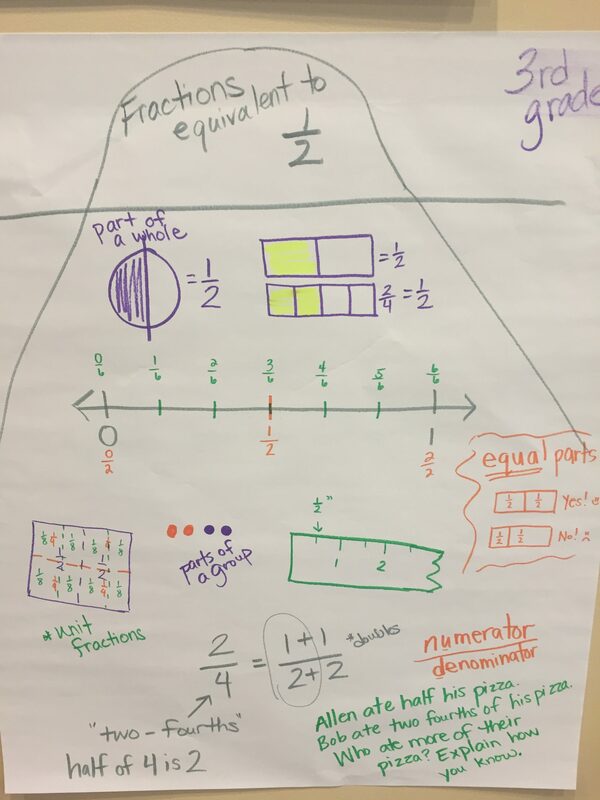 This entry was posted in Daily Blog Recaps, Functions and Algebra on July 27, 2016 by Fran Arbaugh. We began by reviewing last night’s math homework using the “Jigsaw” strategy. Then we moved on in our Functions and Algebra notes, and we learned about Dan Meyer’s 3-act problems. We looked at what makes proportional relationships special, and then pushed ourselves to solve problems based on proportions. After lunch we discussed our responses to last night’s readings from Principles to Actions about questioning and eliciting student thinking. We used the reading to analyze the questioning practices of an 8th grade teacher leading students in the “Water Tank Task.” We both watched a video of her teaching and read a transcript episode. We started our discussion of unit FA-3: Linear Relationships, but did not get past the first problem on currency conversion. We will pick up there Wednesday morning. Create a “sequel” to one of the problems (1-5) on page FA2.12 that pushes the solver to use a systematic or efficient strategy to solve it. Revisit the milk problem on page FA2.12. Look through your curriculum materials and identify a lesson that you might teach in the first few weeks of school. 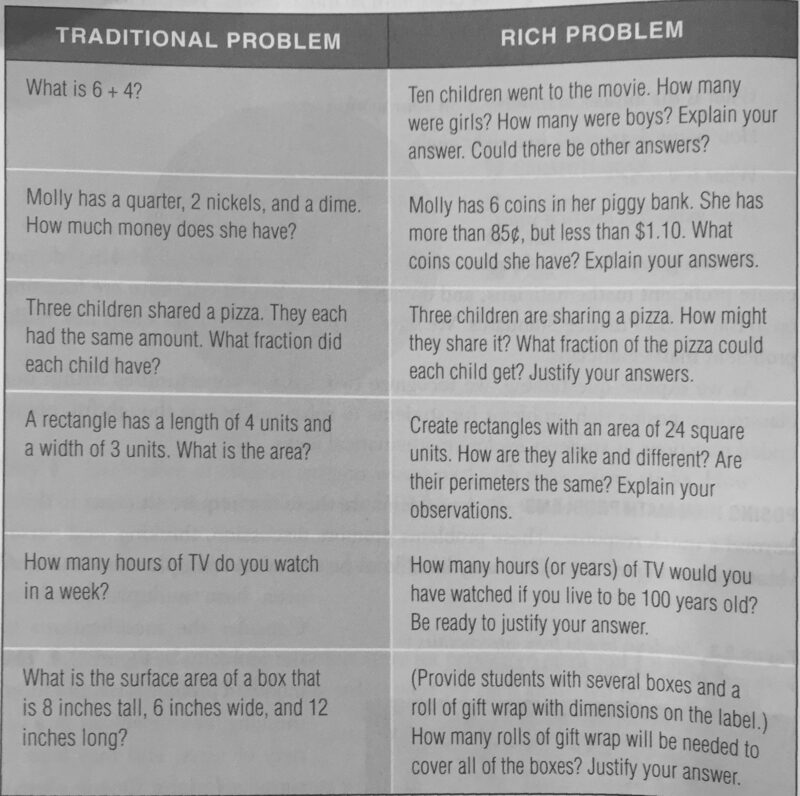 Refer to the picture below as a reference to find two “traditional problems” and rephrase them to make them “rich problems.” (Figure is from “Putting the Practices into Action” by O’Connell & SanGiovanni, published in 2013 by Heinemann). 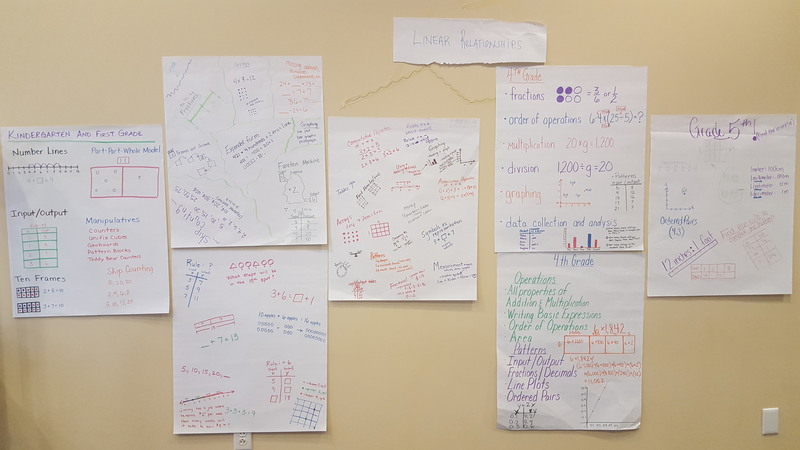 Also look through your curriculum materials and identify at least one lesson or topic that you teach that helps students build “floating capacity” for an idea we’ve discussed in the “Functions and Algebra” course. 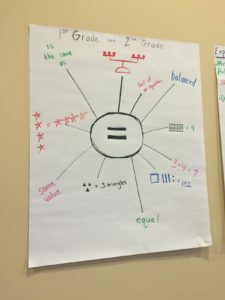 Read the “Upside-down teaching” article and think about how this connects to some of the time constraints we’ve discussed in class. 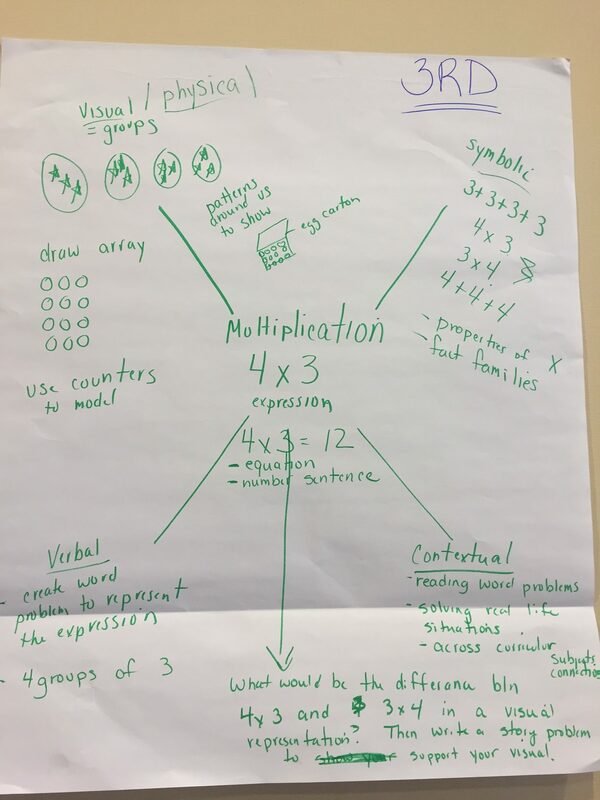 This entry was posted in Daily Blog Recaps, Functions and Algebra on July 26, 2016 by Andrea McCloskey. We are back for Week 2! 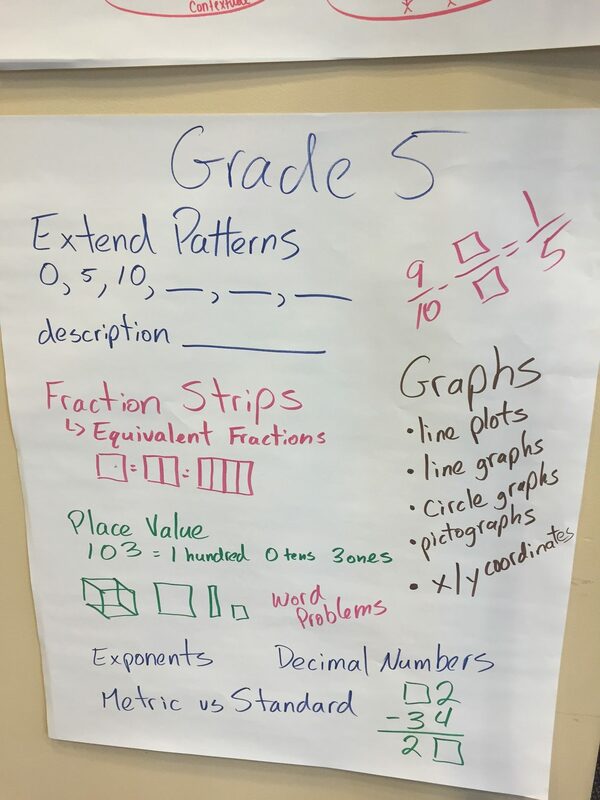 We began the morning with walking the graph. Some processes are invertible, that is, they can be undone to return to the original input for any input. 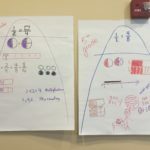 Inverse operations generalize the idea of how addition and subtraction are inverses of each other, and how multiplication and division are inverses of each other. Some processes are not invertible, such as multiplication by 0. Knowing that a number produced 0 as the output is not enough to know what the original number is. We can break more complicated procedures into smaller processes. 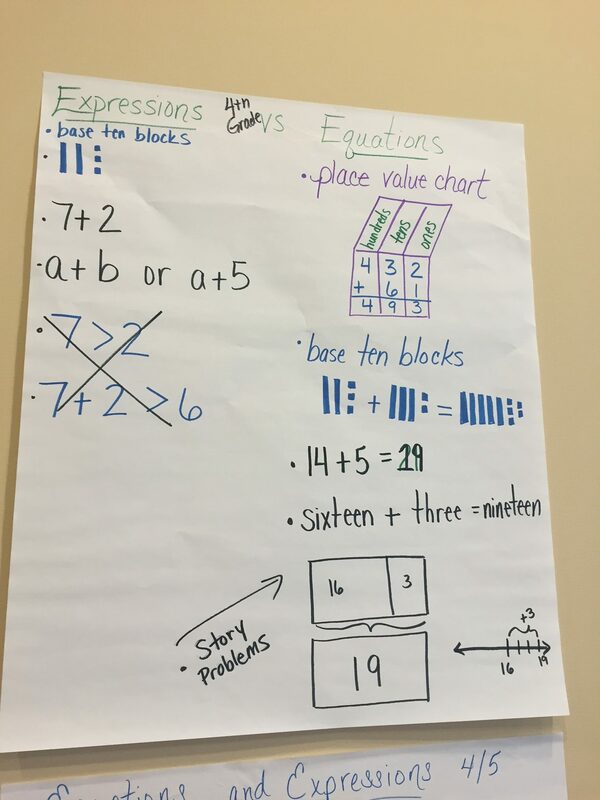 We indicate the order of procedures by using parentheses in an algebraic expression. Two procedures are equivalent if they always produce the same output given the same input. 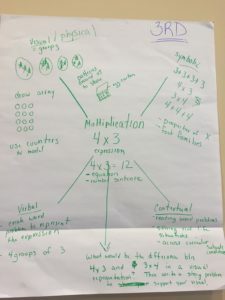 For example, “add 3 then multiply by 2” is a different process than “multiply by 2 then add six,” but they are equivalent in that they always produce the same output given the same input. In other words, they represent different journeys to the same destination. We divided into pairs and took turns role-playing a teacher helping a student with a mathematical misunderstanding. We audio-recorded these so that we can use them for tonight’s homework. 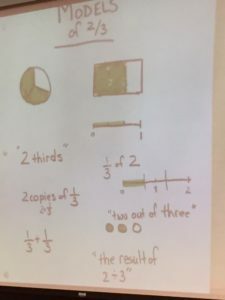 Matt led discussion on Proportions. We explored the relationship between the number of feet and the corresponding number of inches, and contrasted it with a length and the area of a square with that side length. We will conclude the discussion and work on related problems Tuesday. Complete problems 1, 2, 3 on page FA1.9–10. 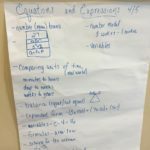 This entry was posted in Daily Blog Recaps, Functions and Algebra on July 25, 2016 by Andrew Baxter. Today was another great, math-filled day! We began the day by “circling up” and introducing ourselves to the whole groups. We each shared something fun that we will or have done this summer. We’ve got beach lovers, roller-coaster riders, Disney-goers, and animal caretakers. Yay for summer! 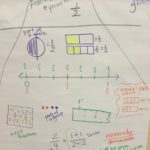 We were paired up with a colleague from a different district and we compared our work on the homework problems–variations on the “kayak problem” and the “tennis trophy problem” about evens and odds. 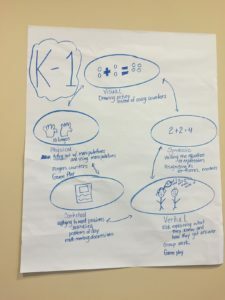 We discussed the variety of valid interpretations for the problems based on the wording and based on what we know from the “real world” about kayaking and tennis tournaments. Then Andrew launched the “Days of Christmas problem” and we set off on problem-solving. 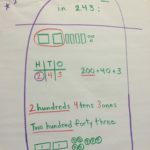 Triangular numbers! 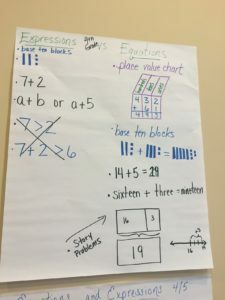 Square numbers! Gauss! Searching for patterns in tables and numbers! Making triangles and squares with counters! 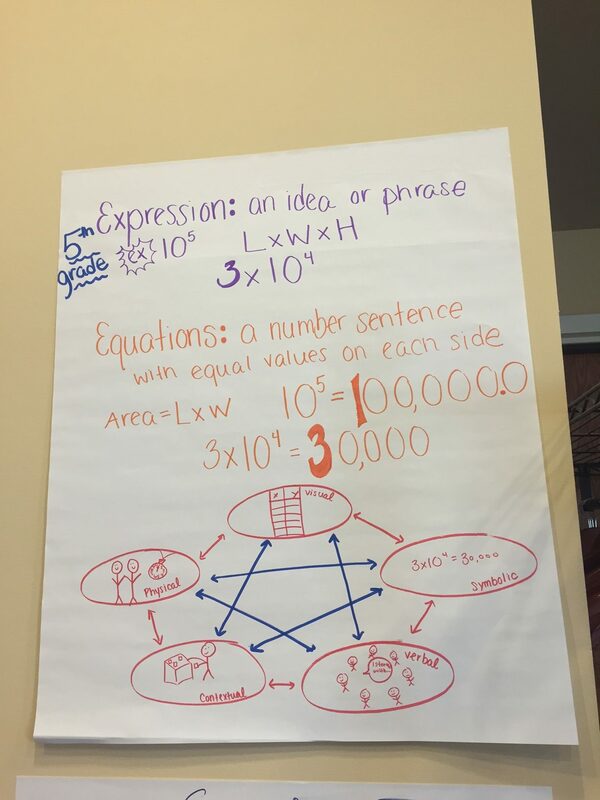 Generating expressions and conjectures! 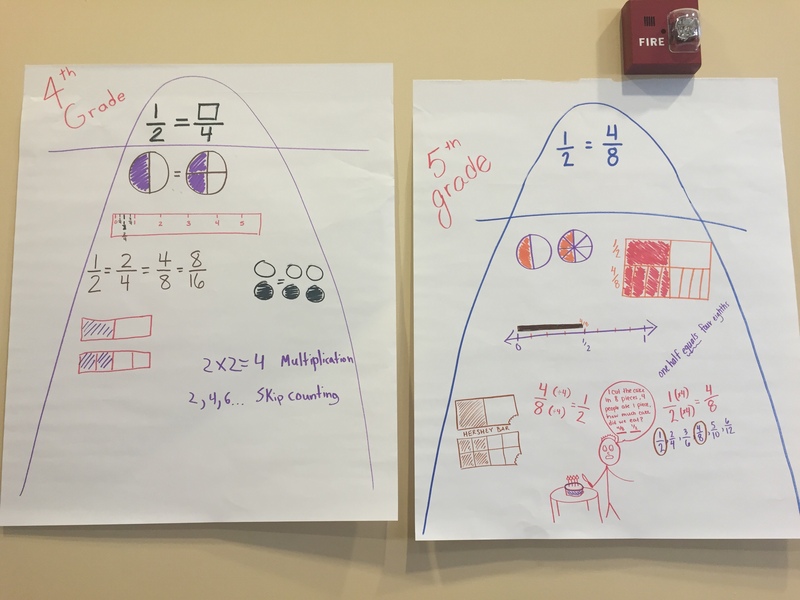 Fran and Andrea led a discussion about low-demand tasks and high-demand tasks and the importance of providing balanced opportunities for students to practice all types of mathematical thinking. 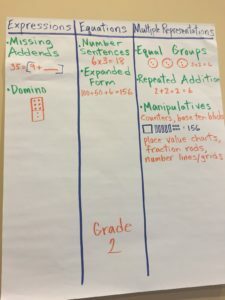 In your notebook: Identify a procedure or skill that you consider essential for students at your grade level to learn. 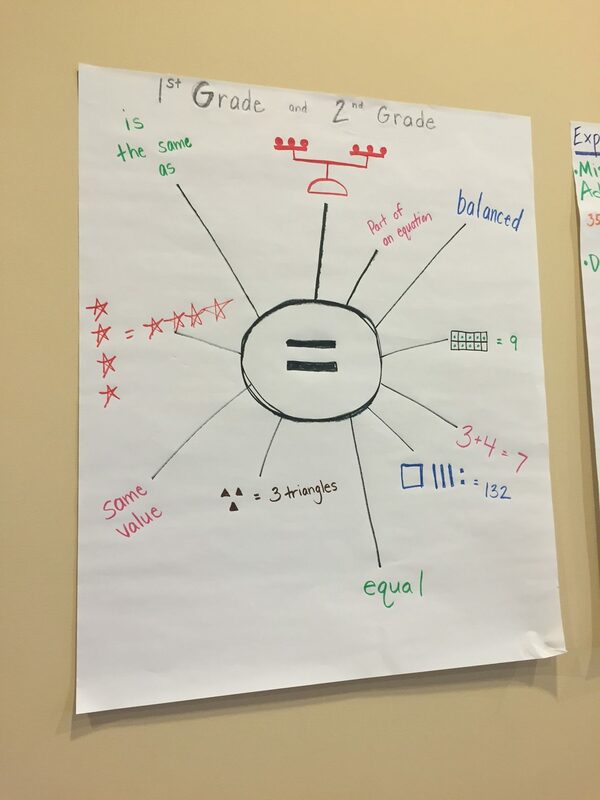 Describe the conceptual understandings that support students’ learning of the procedure or skill. This entry was posted in Uncategorized on July 19, 2016 by Andrea McCloskey. This entry was posted in Uncategorized on July 18, 2016 by Andrew Baxter.